After an eighteen month hiatus, I am eager to start playing again. At a local field, my good buddy introduces me to the girl who organizes a twice weekly pick-up soccer game. Blonde hair, sky blue eyes, a kind smile, and quick to laugh. 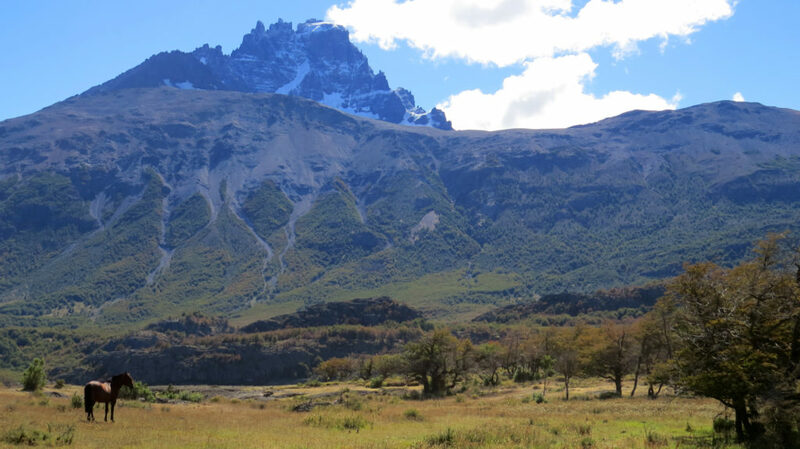 If Blonde were here, I would have to pull over and snap a photo of every Patagonian stallion and mare. The horses are every bit as stunning as their legend tells. This one fellow (above) was such a master of his domain, he will earn immortality on my office wall. I left Coihaique with rain and wind as my partners, but I grinned smugly behind the visor. There is no bad weather, only bad gear, and the Klim Traverse jacket/pants combo continued to perform brilliantly. I finally broke free of the rain, but with temps in the low 40s, the wind was cold even with sporadic sunshine. I found a turnout to put on warmer gloves when another bike pulled up behind me. BMW HP2. Nice. Turned out the fellow spoke pretty good English for a Canadian; Jeremy was a year and a bit into his RTW odyssey. We agreed to ride together for awhile. Pavement all the way to Villa Cerro Castillo, where converted buses served up jumbo hamburgers. 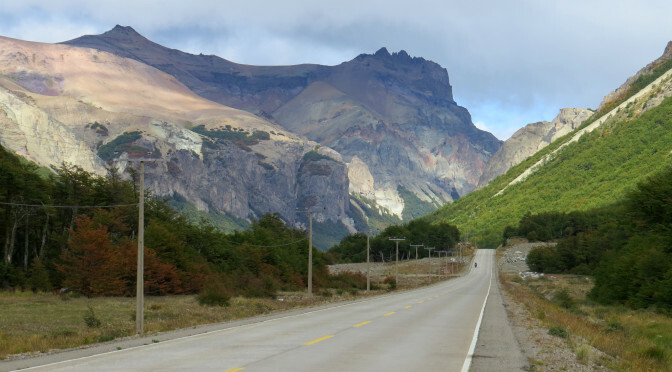 We chowed heartily before beginning this dirt/gravel/washboard stretch of Ruta 7/ the Carretera. And this was where the ride truly came to life. Soaring peaks stretching over the road, deep foliage, lush valleys, unreal azure waters. This is a demanding yet magical road, best experienced on a bike with unimpeded view. We came across an old codger, riding his horse north as we traveled south. He led another horse behind him, undoubtedly to give to his neighbor in exchange for a wife or daughter or some such. The man sang as he rode away… dude didn’t have a care in the world. The approach to Puerto Rio Tranquilo is reserved for ADV lore. Twisting gravel roads, a lake at your side, and a small but homey village at days end.